New Delhi: Karan Johar's 'Kalank' is one of the biggest releases this year and fans have soaring high expectations for it. The film has been helmed by Abhishek Varman and has an impressive star cast of Sanjay Dutt, Madhuri Dixit, Varun Dhawan, Alia Bhatt, Aditya Roy Kapur and Sonakshi Sinha. With a couple of days left for the release, makers are ensuring that the film remains in limelight and are doing all they can to raise the buzz around it. A few days back, the first song from the film titled ''Ghar More Pardesiya' was released and its grandeur left everybody awestruck. 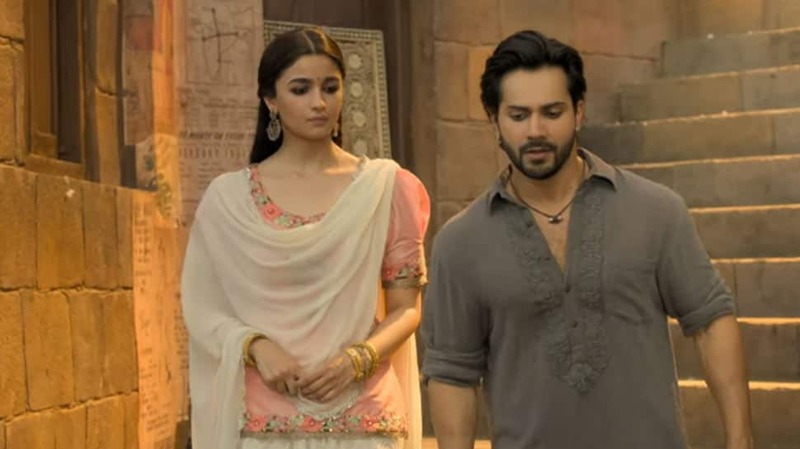 The Kalank title track has now been unveiled and the love ballad will leave an imprint on your heart. Did that make your heart skip a beat? Indeed there is something about the song that will make you kill that replay button! Alia and Varun are known to be good friends and fans love to see the two act opposite each other. 'Kalank' is slated to release on April 17 this year.